Are you a loyal space enthusiast like me? 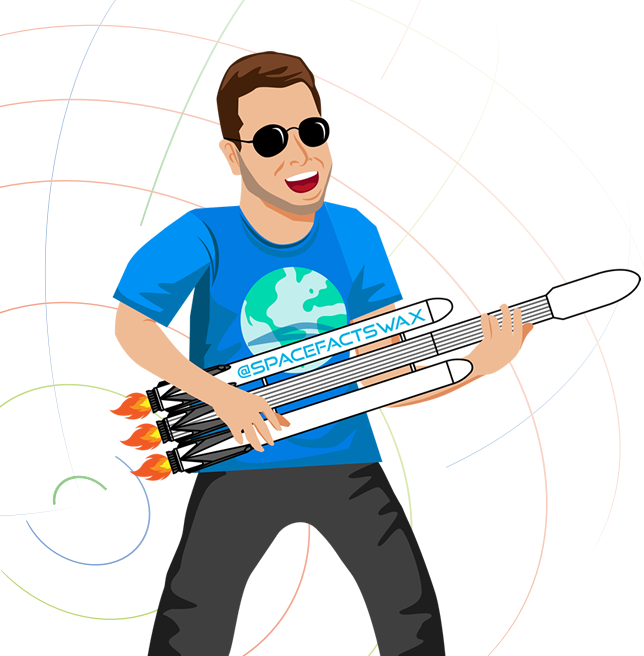 I’m Jonny Wax, aka Space Facts Wax, and I’ve started a weekly newsletter that will e-mail you short concise highlights of all things going on this week in Space exploration and astronomy. No need to have to click links in the e-mail to “read more”. I break it down for you. This is for space fans who want space news on the go. Join the e-mail list below and let’s explore + learn together! Show some love! Refer up to 5 friends if you dig the newsletter! Hi there! Like many, my lust for the cosmos began when I was just a kid. No, I didn’t go to astronaut camp (I wish I did!). And to be honest, I didn’t do so well in my astronomy class in college despite being fascinated by it all. After graduating, I started my own music management and marketing firm. Initially built as a company to manage my brother, pop/rock artist Mikey Wax, his success led to me providing marketing services for over 300 indie artists around the globe. During that time, my passion for space exploration was re-ignited when I saw a great 60-minutes episode with Elon Musk on CBS. I read his book, and then became a loyal fan of the well known podcast Star Talk hosted by Neil DeGrasse Tyson. Eventually, I was reading many more books and watching documentaries on the early NASA days from Mercury to Gemini to Apollo. And then on my 30th birthday I got to visit Kennedy Space Center. After such a trip, I was sold. I needed to find a way to be a part of this journey, and not just a spectator. 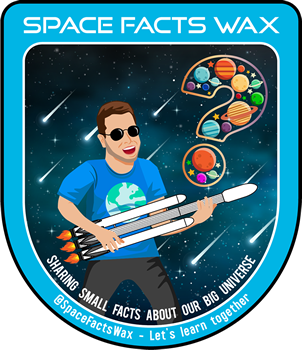 Given I had no engineering background but lots of marketing experience and a desire to spread the love of all things space exploration, I started Space Facts Wax. Initially it was just an Instagram account that gained over 10,000 followers from sharing inspiring and cool space facts. Now, it is a weekly e-mail newsletter with over 1,000 subscribers and growing daily, allowing everyone an easy way to stay connected on all current things in the space world. I’ll also be releasing my own original music compositions under the Space Facts Wax brand too, so be sure to search for it on Spotify soon! With Space Facts Wax, I hope we all learn and grow together. I will share continued vlogs on my YouTube, and do my best to do Q&As with industry professionals. I’ve already had the opportunity to go behind-the-scenes at NASA with their staff, witness a rocket launch, and meet & interact with astronauts Chris Hadfield, Norm Thagard, Bruce Melnick, Scott Kelly, and Robert Curbeam. Hopefully this is only the beginning of the journey and I’m happy you’re coming along for the ride!